Over the years, we’ve published brief conversation starters on our website, Torah Topics for Today. These weekly topics have fostered many family discussions inspired by the values in the weekly Torah reading. As we’ve grown, our mission has grown also. 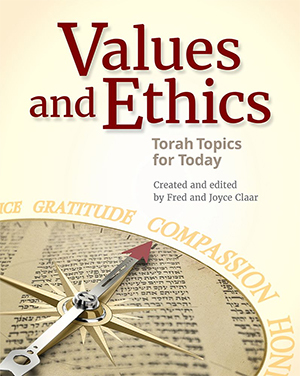 We will continue to publish our weekly Torah topic discussion starters on this new website, valuesandethics.org. In addition, we are expanding our offerings to include more material related to family values on the website and through other media such as our new book. Click here to see some of the communications we’ve received praising Torah Topics for Today. We are grateful for these endorsements and plan to continue producing timely materials to help families of all levels of religious background and knowledge share their Jewish values with their families and others. Fred Claar is a retired business owner. He is currently a board member the Jewish Education Project, My Jewish Learning, Jewish Student Connection, and a member of a COJIR task force of UJA. Fred teaches Jewish issues and texts to high schoolers once a month and frequently teaches school groups from 7th grade through college about the Holocaust at the Museum of Jewish Heritage in New York City. As a continuing student, Fred takes several Talmud or related courses annually. Previously, around 1980, Fred created a successful Judaic family program built around the weekly Torah portion for the National Young Leadership Cabinet of UJA and was the patron of BJE’s “Around the Shabbat Table” from 2003 to 2007. Fred is a 1963 graduate of Tufts University, where he met his wife of 50 years, Joyce. They live in Westchester, near their children and grandchildren. Rabbi Cohler-Esses is the first Syrian Jewish woman to be ordained as a rabbi. She was ordained in 1995 at the Jewish Theological Seminary. She is currently a freelance educator and writer, teaching and writing about a wide range of Jewish subjects, and the Director of Life-Long Learning at Romemu in New York City. She lives in New York with her journalist husband and their three children. Yael was a student in the Jewish Theological Seminary Rabbinical School and the Davidson School, and is a graduate of List College’s Double Degree Program. She is currently the director of student placement for The Rabbinical School and H. L. Miller Cantorial School, and has served as coordinator for the InterSeminary Dialogue group and Isha el Akhota: The Women’s Center at JTS. Rabbi Moshe Becker is a co-founder of the Jewish Renaissance Experience, an innovative Jewish education and outreach program in Westchester County, NY. He has done advanced research in Jewish Law, philosophy, and history at The Jerusalem Kollel and with the Hashkafa Circle and has lectured and written extensively on these topics. Rabbi Judith Greenberg was ordained at the Jewish Theological Seminary. She is a rabbi and a new mother living in Chicago. 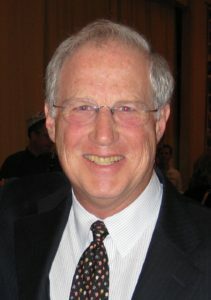 Rabbi Charles E. Savenor serves as the Director of Kehilla (Congregational) Enrichment for the United Synagogue of Conservative Judaism (USCJ). For the past two summers and again in 2014, Rabbi Savenor leads USCJ’s Family Israel Experience. He has written articles that have appeared in Hadassah Magazine, The Jewish Week, EJewishPhilanthropy.com, and CJ Magazine. Rabbi Savenor blogs on parenting at www.familyinorbit.com and www.kveller.com. In addition, he serves as a volunteer fund raiser for Lone Soldiers in the Israeli Defense Forces. Joyce Claar was an English and Special Education teacher in middle and high school for 16 years and maintained a private tutoring practice. She then taught adult classes for GED, Workplace Literacy, and Basic Skills for Nursing for 20 years, retiring in 2008. In 2001, she was chosen as Teacher of the Year in Workforce Preparation by NYAACE, a professional educational organization. For many years Joyce chaired her synagogue’s Social Action Committee, served on Synagogue 2000, and was a weekly visitor to a disabled homebound woman through Dorot’s Friendly Visitor program. She is presently a member of the Board and Executive Committee of the Westchester Jewish Council and the Chair of Westchester Adult Jewish Education (WAJE). After years of working in the field of education and educational technology, Lois now devotes herself to Jewish communal service and philanthropy. Since moving to Westchester in 2001, she became actively involved in UJA-Federation where she currently serves as Chair of Westchester Women’s Philanthropy. She is a member of the UJA-Federation of NY Board of Directors and sits on the Commission for Jewish Identity and Renewal’s Task Force for Experiments in Teen Engagement. Lois is a founding member of the Neshamot Women’s Impact Philanthropy group and sits on the Boards of the Jewish Education Project, the Foundation for Jewish Camp, and the University of Pennsylvania, Graduate School of Education. Since graduation from the Wexner Heritage program, Lois has been actively involved in launching the Westchester Jewish Teen Learning Initiative in conjunction with the Jewish Education Project. Lois graduated from the University of Pennsylvania with a BA Degree and MS in Education. Originally from Louisville, KY, Lois lives in NY with her husband and three children.